The Burdette Park-University of Southern Indiana Pedestrian, Bicycle and Nature Trail, approximately 3 miles in length, serves as a connection between Burdette Park and the University of Southern Indiana. This trail begins at scenic Burdette Park and is a key connection to an area of river bottom-land with 37 miles of paved roads currently signed for bicycle use and very popular with cyclists. This trail is part of the American Discovery Trail that passes through Indiana as part of the “Crossroads of America”. Location: Burdette Park, 5301 Nurrenbern Road, Evansville, Indiana 47712 , In Evansville at Burdette Park, north of Nurrenburn Road. 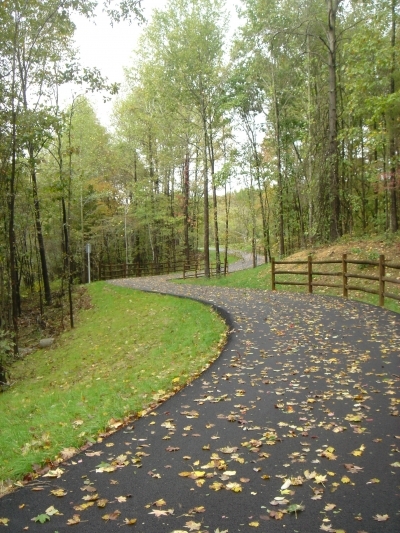 The Burdette Park-University of Southern Indiana Pedestrian, Bicycle and Nature Trail, approximately 3 miles in length, serves as a connection between Burdette Park and the University of Southern Indiana. This trail begins at scenic Burdette Park and is a key connection to an area of river bottom-land with 37 miles of paved roads currently signed for bicycle use and very popular with cyclists. This 3 mile trail will provide a natural scenic path for cyclists, pedestrians and nature observers between the 164 acre Vanderburgh County Burdette Park, which attracts over 300,000 visitors annually, and the University of Southern Indiana, where over 11,000 students are enrolled. 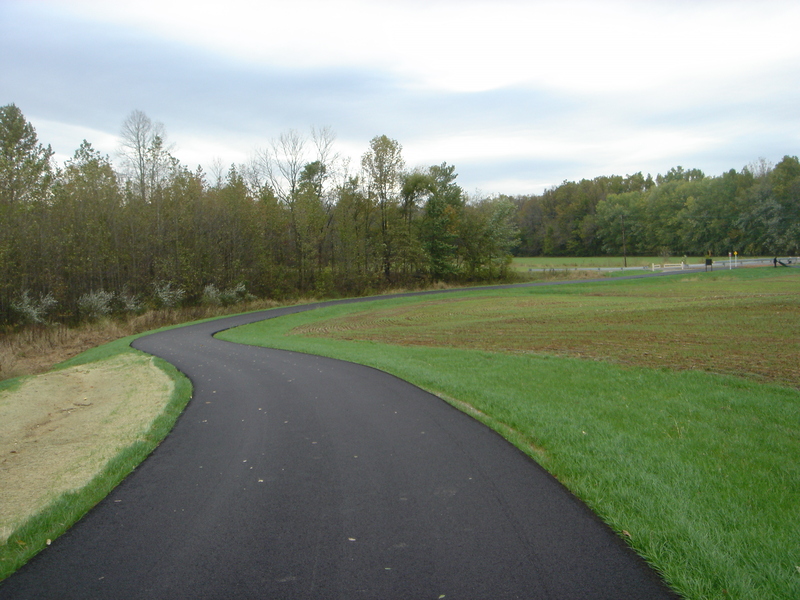 The trail's location between Burdette Park and the University of Southern Indiana will provide a unique access for students and area residents wishing to use alternative methods of transportation or to simply enjoy the trail as a place to exercise along its scenic route. This trail is part of the American Discovery Trail that passes through Indiana as part of the “Crossroads of America”. 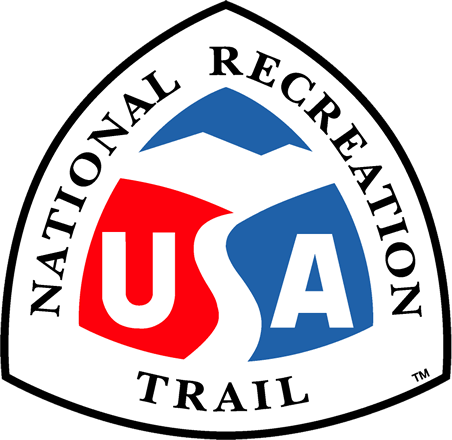 The American Discovery Trail (ADT) offers a diverse, interesting, and challenging route for hikers, bikers, and other trail users as they cross Indiana on the southern route of the American Discovery Trail. Some of the points of interest on the ADT include Hoosier National Forest, Lincoln State Park, Fall of the Ohio State Park, Scales Lake County Park, Wyandotte Caves, Angel Mounds State Historic Site, the Pigeon Creek Greenway, and Hovey Lake State Fish and Wildlife Area. Burdette Park, with it's many camp sites and recreation facilities, offers a unique wayside for travelers on the ADT. Burdette Park, a designated destination point on the southern route of the trail just north of the Ohio River through the Southern Hills Region, is a 164 acre county-owned park that serves as a regional recreation facility and offers a wide variety of family orientated recreational opportunities such as year-round camp sites for RV, Pop-Up, and primitive (tent) camping. Shelter houses are available for rent when hosting reunions, weddings, showers, parties, picnics, and many other gatherings. Over-night chalets are also available to rent for families to vacation in the park and tri-state area.. Burdette Park's newest facility, the Discovery Lodge, is also very popular and provides an opportunity to host large gatherings, business meetings, award banquets, weddings, etc. in a spacious facility that features nature displays, large open spaces and an elaborate fireplace. Many very popular seasonal activities are also offered in the park such as one of the largest Aquatic Centers in the tri-state area with 4 water slides, a children's spray park and pool with 4 kiddie slides, a large family pool and an olympic pool. Also offered seasonally is a miniature golf course, and a nationally recognized BMX track that hosts regional and national bicycle motocross racing. Within the park you will also find 4 tennis courts, a basketball court, baseball and soccer fields, fishing lake, and picnic areas. The Burdette Park-University of Southern Indiana Pedestrian, Bicycle and Nature Trail, a unique tie-in between a very beautiful park and a very beautiful university campus is good thing. The trail is open daily, year-round from 7:00 a.m. until dusk.